The day began with Liturgy at 9:00AM followed by a light breakfast and the first session. After lunch a second session was offered before the day concluded with Great Vespers. Topics included: “Ten Minute Spirituality” and “Big City Saints." Fr. Sergius brought with him the Miracle-Working Icon “She Who Is Quick To Hear" from St. Tikhon's Monastery. 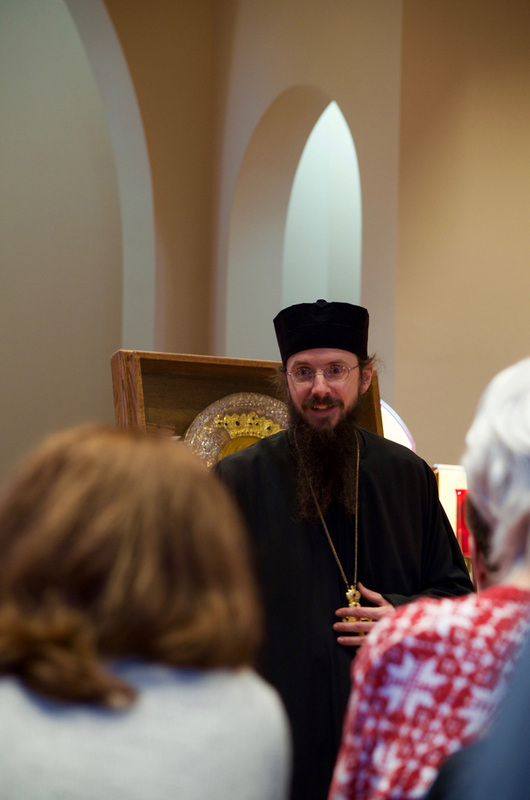 The newly published book, "Acquiring the Mind of Christ: Embracing the Vision of the Orthodox Church" by Abbot Sergius was available at the retreat and can be ordered from St. Tikhon's Bookstore. 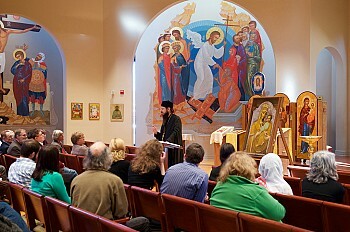 Annunciation Retreat: "The Life and Legacy of Fr. George Calciu"